You can download our bail bond application forms and bail bond contract directly from this page and print them out. 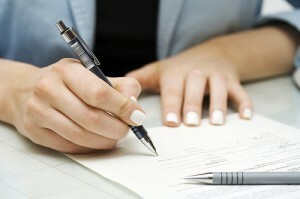 You will need to sign them and fax them or scan them and email them back to us. The Indemnitor Application Agreement and Addendum, Indemnitor Checklist, Plain Talk Contract forms are the PDF fillable files below. You can simply type directly into them, and print them out to sign. The application requires your name, address, payment information, (Form/s of picture ID such as a driver’s license or passport are required), along with a copy of your credit card if used. If you receive our application by email, it will come to you in a PDF form with a cover letter and instructions. If you prefer, we can also send the same application by fax. We have strict security protocols when it comes to handling your bail bond application forms, so rest assured that your information is always kept confidential. Further, if there are any specific payment plans that we agreed to verbally, they will be included in the contract. All you have to do is print it out, fill it in, and fax or email it back to us. It’s as simple as that. Call us 24 hours a day at 1-877-422-4591 or at one of our local numbers to get the process started. Download our bail application/contracts directly from our website, print them out and fax or email them back. Fax them back to us at 877-422-4232 or scan and email them back to the agent working with with you. We’ll process the application, along with your payment information and have a licensed bondsman quickly dispatched to the jail where the defendant is located. If you don’t own a fax machine or scanner, don’t worry, we can still accommodate you. If you’re in the area we can meet with you directly at your home, office or the jail where the defendant is in custody. We can assist you in the paperwork process there. Our on-duty bondsmen can locate your nearest 24-hour copy store, such as Kinko’s, Staples, Office Depot or UPS store. Which all have faxing capabilities. You can fill out the application, then take a short drive to one of the facilities to send it out. (An 8% bond can be offered to those currently in the military, union members, over 55, retained counsel or use of home as collateral). Please let us know what works best for you. It is our job to accommodate your needs. Trust us to get the job done professionally, discreetly and in a timely manner.